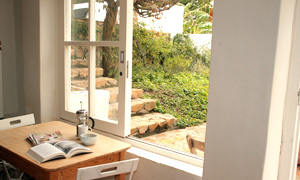 InAWEStays offers hand-picked Cape Town holiday accommodation. The properties were chosen with a supreme eye for individuality and are interesting and playful – in the choice of accommodation, the furnishings and also the service offered. The portfolio consists of a variety of accommodation, from a one bedroom studio in upmarket Fresnaye to a historically beautiful villa in the city as well as a few other rare finds. 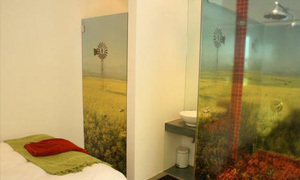 All of these Cape Town accommodation gems are in Cape Town with all the charm, excitement and beauty that the city has to offer. 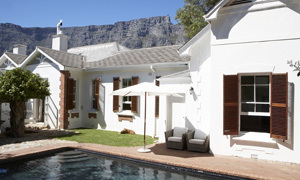 The Loft is the latest cottage to be finished and offers the most amazing views of Table Mountain. 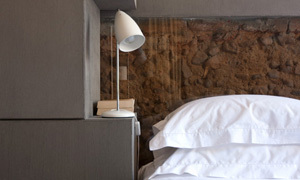 The Loft is furnished in an easy and relaxed style and it is spacious and beautiful. The bedroom is tucked away in the roof and the lounge opens up onto a deck.